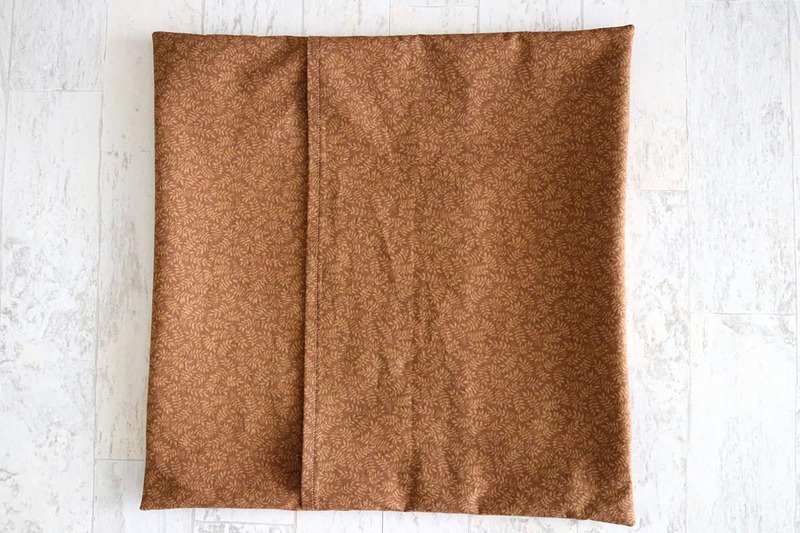 Envelope closures are the easiest way to make your own DIY pillow covers! 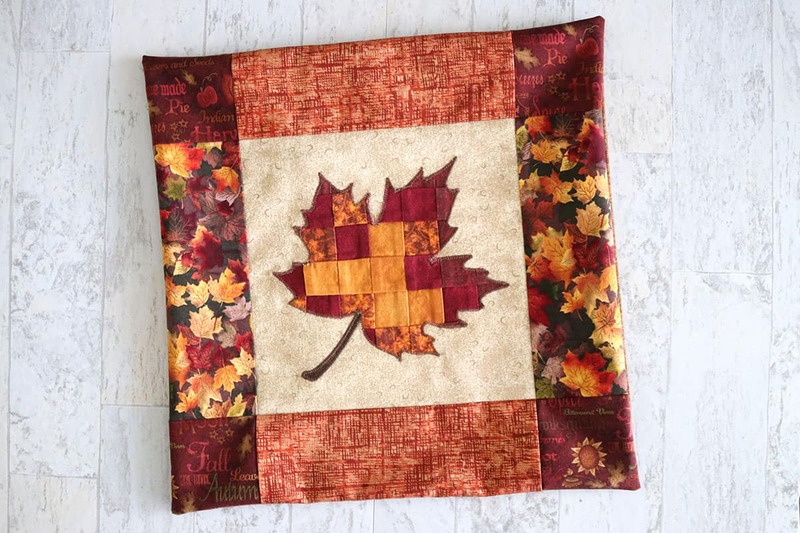 I use this for all my throw pillows and love how quickly they come together. This is a great tutorial for easily customizing your decor on a budget. When asked what my favorite craft is, I usually respond with “sewing.” And then people ask what I like to sew and for some reason I never know what to say. And…I feel like that’s how the conversation always goes. And yet, sewing really is my favorite! I love the feel of the fabric going through my machine and being able to make something awesome from a few scraps of fabric. Maybe I don’t know how to respond because I really do just like to sew a lot of little, different things! I’ve made bags, little embellishments for holiday decor, quilts, stuffed animals, curtains, tea towels, and random gifts for friends. 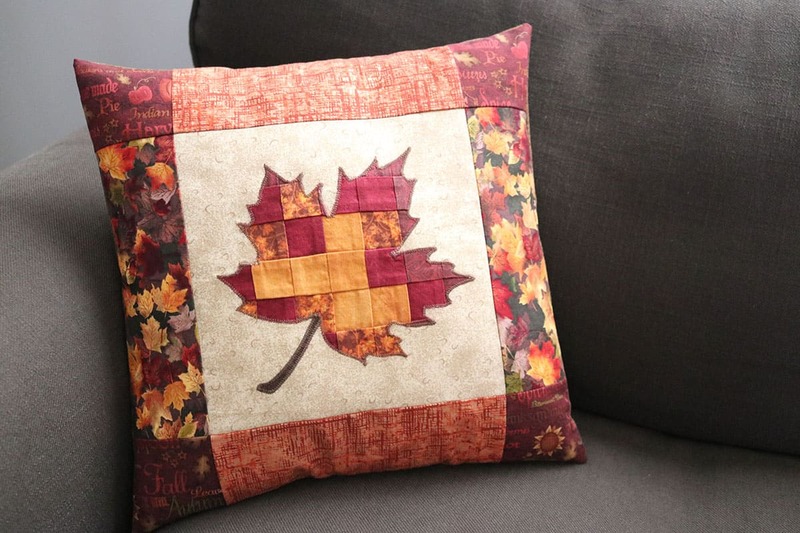 But when I really think about it, my favorite thing to sew–by far–is pillows! And technically, they’re pillow covers. I don’t know why I always forget to mention that I love to sew pillows. Why do I love sewing pillow covers? 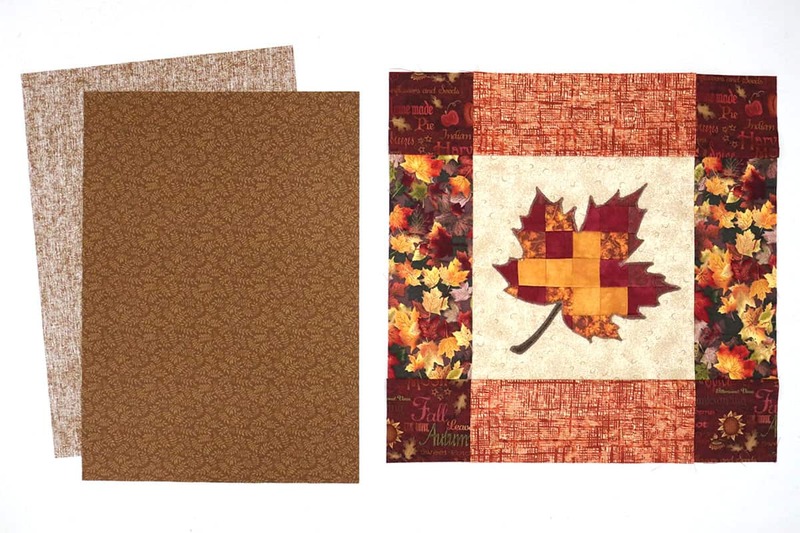 Because they’re like mini canvases that can be switched out for any holiday! I love designing them, making them (because they can be made in a day or less), and then seeing that pop of color and holiday cheer on my living room couch. One year for Christmas, I made a set of monthly pillow covers for my parents and another set for my brother and sister-in-law. 24 pillow covers! That was a lot of work, but so fun! And I love going home and seeing that pillow still in my parents’ front room. Pillow covers are a great sewing project for beginners, and this is a super simple method of making them! There are definitely fancier ways of sewing pillows, but an envelope closure is still my go-to. It’s quick, easy, and inexpensive–all of my favorite things! a pillow form*–I recommend going to a craft store to look at sizes/quality if you’re new to this, but I’m totally buying this bulk option next time! 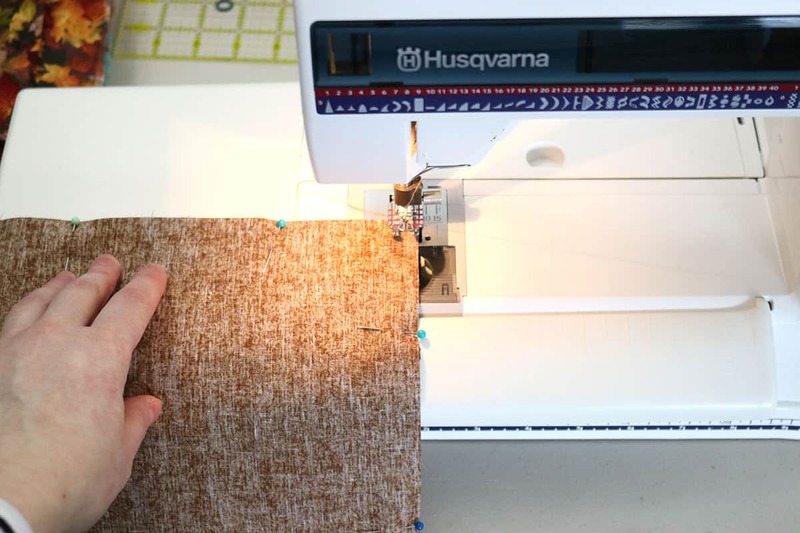 Tip: If you plan on sewing more than a few times in your lifetime, I highly recommend investing in a cutting mat, ruler, and rotary cutter. I use these in almost every sewing project I make! Even if I already know the size of my pillow, I still like to measure it myself because different brands and fills can yield slightly different measurements. I especially measure pillow forms that I’ve had for awhile (that might have flattened since I first bought them). 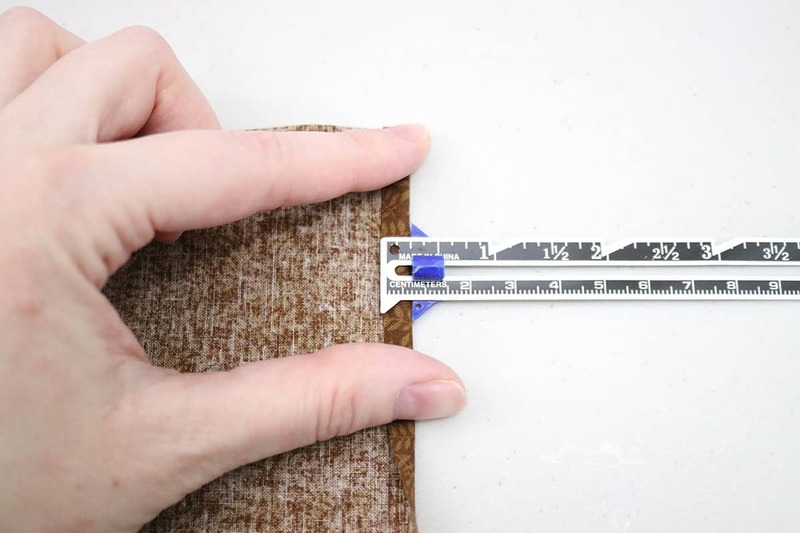 To measure, I like to wrap my sewing tape measure all the way around the middle of the pillow form and divide that number by two. For this type of envelope closure, you need one front panel and two back panels. The back panels overlap to create the envelope closure. If you want a snug pillow cover, make your front panel the same length and width as your pillow form. So, if my pillow form is 16×16, a snug front panel should measure 16″ x 16″. However, I usually cut my fabric to allow for seams, so I would add 1/2 inch to that measurement (because I use 1/4 inch seam allowances, and you want to account for both sides). So, I would cut my fabric to be 16.5″ x 16.5″ for a 16×16 pillow form. This is totally personal preference! The length/height of your back panels will be the same as the length/height of your front panel. So, this would be 16″ or 16.5″ for a 16×16 pillow form, depending how snug I’m making the pillow cover. 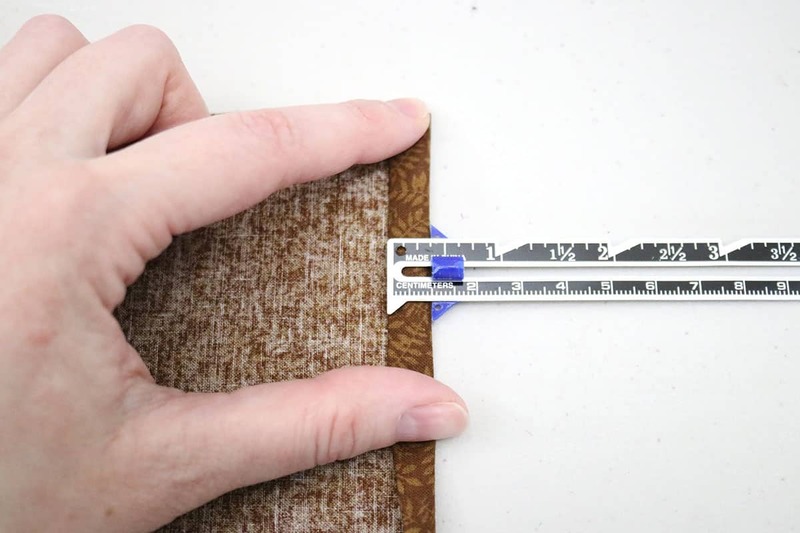 To determine how wide each back panel should be, you want to divide your pillow form size by 2, add 1/2 of your desired overlap width, and add 1 inch for seam allowances and to finish the edge. So I will need two panels, each measuring 16.5″ x 11.5″. Fairly simple math, yeah? Keep in mind that these measurements are not hard, fast rules, but more of a guideline. Practice with them and see what you prefer, as far as snugness and overlap, and then make your own notes to reference. You always want to wash fabric before sewing with it, to test for shrinkage and to prevent colors from transferring to other fabrics (or to your clothing or couch, in this instance). Once washed, iron and cut according to measurement guidelines above. The finished edge will be on one of the long sides. 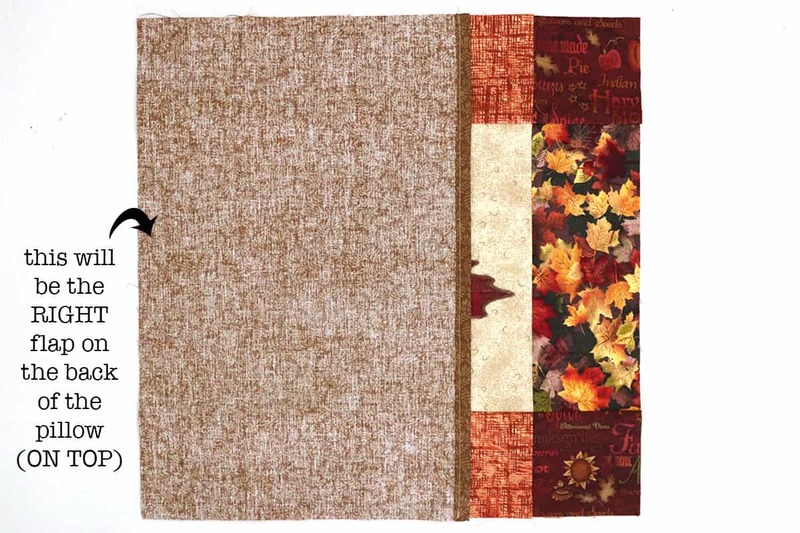 This is what will show on the back of the pillow once it’s complete, so you want to make sure it’s finished for a neat look and to prevent fraying. I use a simple “turn and turn again” method to hide the raw edge. First, I fold over the edge (wrong sides together) with a 1/4″ turn. A seam gauge comes in handy for this. Press with your iron, measuring as you go. Fold the edge over again, this time 3/8″. Press with your iron, all the way down the long side of your back panel. Repeat with the second panel. To complete the edge, sew a straight line all the way down the folded side. I like to sew on the right side of the fabric so that my bobbin thread is underneath (because I don’t think it looks as nice as the top thread). If you sew yours this way, just make sure your stitches are catching all layers of the fold. I use a 5/16″ seam allowance, which is what my basic presser foot is and it’s just right for this. Lay your first back panel on top of your front panel RIGHT SIDES TOGETHER. This back panel (whichever one is in direct contact with the front panel) will end up ON TOP, overlapping the other back panel. Lay down your second panel and pin the edges. Make sure that your finished edges are in the middle of the pillow, as shown! Note: If you want your envelope closure to open top to bottom, you’re welcome to adjust the direction of the panels accordingly. I just always do side-to-side because that’s what I prefer. Sew around the edges with 1/4″ seam allowance (if you look closely, you’ll see I changed my presser foot to my 1/4″ presser foot). 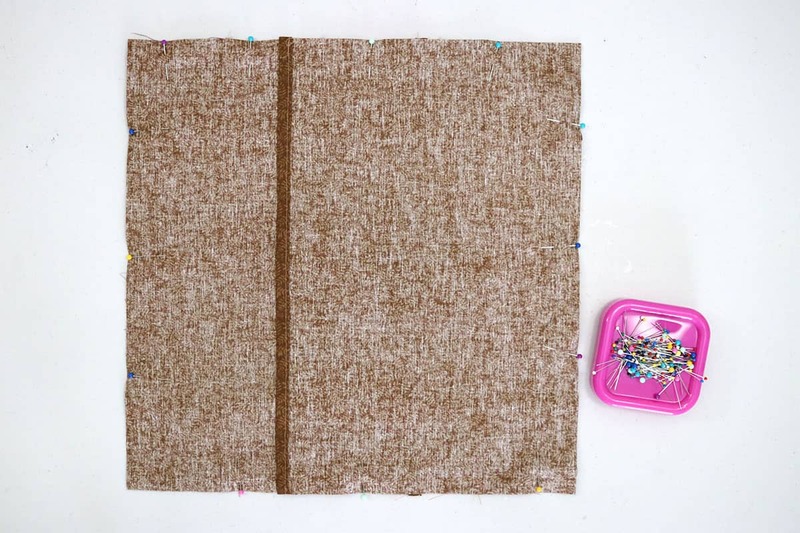 Remove pins as you go, and backstitch at the start and finish. 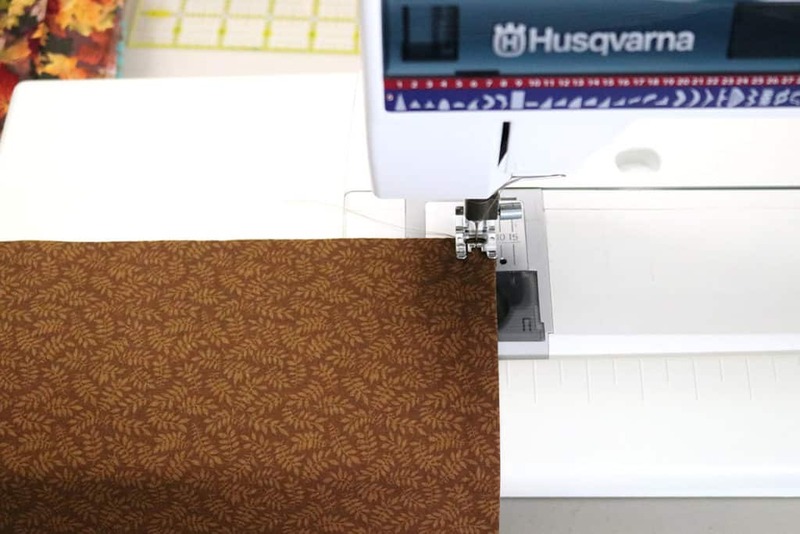 If you want to serge or zigzag the sewn edges to prevent fraying, go for it. I usually don’t, though, unless I know it’s a pillow cover that will get a lot of wear and will need frequent washing. 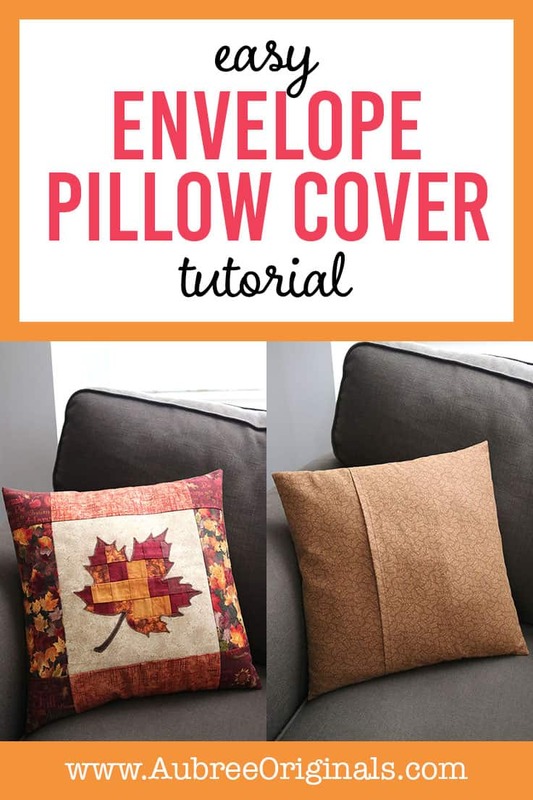 Turn the cover right side out, pull the corners out with a pin, and put it on your pillow form. I told you that would be quick and easy! See? The back panel that I laid out first on the left in step 5 ended up being the RIGHT panel, overlapping the other one. Hopefully that makes more sense! Ahh! I love how this pillow turned out! And it took me hardly any time at all to complete that envelope closure! If you’re curious how I made the front with the fun patchwork leaf appliqué, I use the same method in my Shamrock Patchwork Appliqué Pillow, so go check it out! I hope this has been a helpful tutorial. I can’t wait for you to save money by creating your own interchangeable pillow covers, not to mention the space you’ll save from not having to store tons of pillow! If you have questions, leave me a comment below! I’d love to hear your thoughts. And don’t forget to pin and save for later! Previous Post: « The Easy Gratitude Jar Even Kids Can Make–plus a Free Printable!